Made TV has acquired the local TV station for Birmingham and the Black Country in the latest takeover within the network of recently-launched local TV services carried on Freeview. The acquisition will, subject to Ofcom approval, see Big Centre TV being replaced by Made in Birmingham. With the new owners, the local TV station will become available in the West Midlands TV region on Sky channel 117, in addition to its current slots on Freeview channel 7 and Virgin Media channel 159. Made in Birmingham's remit will span a wider area than the current Big Centre TV service, covering Birmingham, Wolverhampton, Coventry and Stoke. With the addition of Made in Birmingham, and its extended coverage area via Sky, the Made TV network, which also incorporates stations serving Bristol, Cardiff, Leeds, Liverpool, Newcastle upon Tyne and Teesside, will reach 15. 5 million viewers. The relaunch of the local TV service for the West Midlands as Made in Birmingham will take place on the 1st November 2016. Before then, Made in Liverpool launches on the 12th October, following the closure of Bay TV Liverpool on 5th October. Made in Teesside will launch before the end of 2016. "We are investing significantly in our City TV portfolio in order to build our reach in some of the UK’s most exciting and economically active regions. The addition of Birmingham to our network brings an established platform in the UK’s second city and enables the Made TV network to offer viewers highly engaging and relevant content and advertisers local, regional and national targeting, at scale." Since launching less than two years ago, Made Television has achieved 100% year-on-year revenue growth, with a high proportion of its advertisers repeating business with the City stations. Audience figures from BARB indicate that Made Television’s stations in Bristol, Cardiff, Leeds and Tyne & Wear are consistently ahead of other channels such as Sky2, Sky Arts, National Geographic, Discovery, CBS Drama and the History Channel in their local areas. The takeover of Big Centre TV ends a troubled period for the station, which was launched by Kaleidoscope TV in the aftermath of the collapse of the originally intended service for the region, City TV Birmingham. 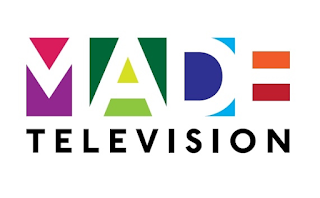 The latest developments from Made TV follow hot on the heels of the news that York's forthcoming TV channel is now under the control of rival local TV operator That's TV. The local TV scene is now dominated by either Made TV or That's TV in England and STV in Scotland, with just a few independent operators, including London Live, Notts TV, Mustard TV and Estuary TV in England. Cambridge TV was put up for sale earlier this year. Will their transmitter power increase to cover the wider area or is it still going to be on the lower powered multiplex? It is unlikely, as a power boost would disrupt other services co-channeling in other parts of the Midlands. Ofcom is restricting power boost requests to 1/1/2018, due to the imminent reshuffle of terrestrial TV frequencies in the UHF band. I am in a Birmingham postcode near the NEC and the signal breaks up even with a decent aerial. Big Centre/Kaleidoscope didn't really have a real chance with such a poor signal. More than likely the expanded service area will come from using Sky's postcode filter to allow the channel to be found on more Sky boxes in the area. When the local TV service is finally uplinked to satellite and ready to appear on Sky, the postcode system is based on the current BBC/ITV regions. Therefore, anyone in the core West Midlands region who gets BBC One W Mids on 101 and ITV Central West on 103 is likely to have Made in Birmingham added on 117. Around the fringes of the W Mids region there are some variations reflecting slightly different BBC/ITV region areas, and these viewers probably won't get the channel via the EPG, but will be able to add the channel via manual tuning/other channels. What is going to happen with The Big Picture, Big News, and The Week with Carl Jones, there was also Amp'd with Tommy Doom on Big Centre TV, it's a shame it wont be on the new rebranded channel and Big News will be replaced by a localized one probably. Definitely Timeless Televisions' contract on Big Centre TV is coming to a end as well when the new Made channel will never able to show it and the constant loop of They Don't Make Them Like This Anymore in the 10pm slot and also introduced it in the late allocated slot has been running on since April this year.